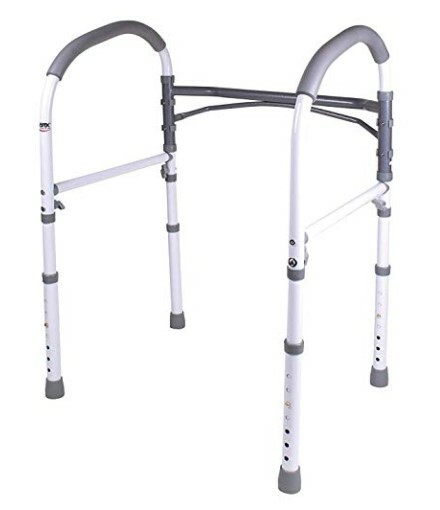 Why Should the Elderly Use Carex Shower Chairs? 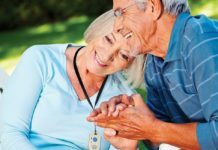 The company’s goal is to help provide dignity to those that need extra assistance with day-to-day personal needs and to offer easy-to-use, high quality products to caregivers and customers. Other brands in the Carex Health Brand include AccuRelief, The Original Bed Buddy, TheraMed, and Apex. 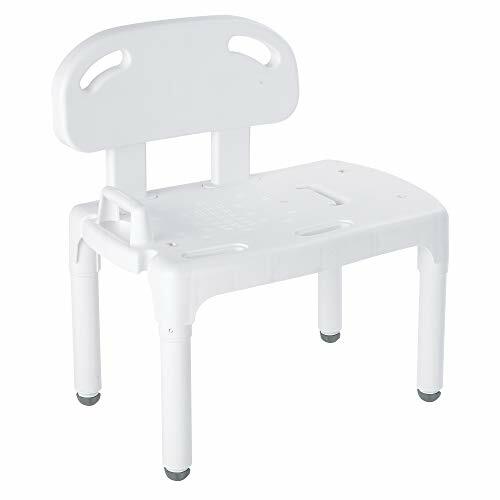 Carex shower chairs and benches receive an overall rating of 4.5/5 stars. 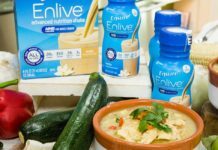 The company has over a thousand reviews distributed through the various product lines and maintains a 4 to 5-star rating with most reviewers. 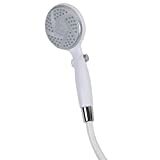 Many appreciate the ease of use and assembly along with the sturdiness of the products, especially in a slippery place like the tub or shower. In addition, many of their products are recommended by physical therapists. They are easy to assemble and have many features that allow for convenient usage. 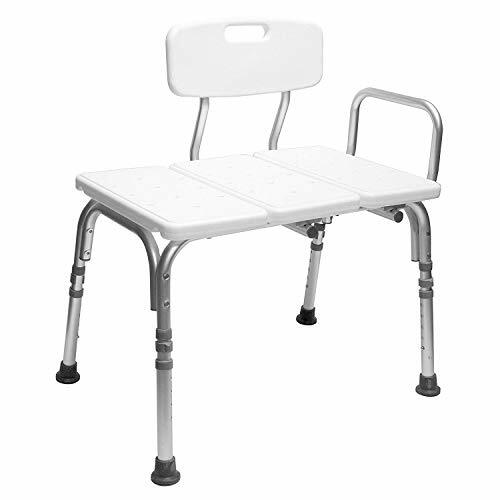 Carex offers a variety of safety chairs and benches to meet the specific needs of clients who would like more independence while in the tub or shower. These activities can be dangerous to those with mobility issues, and these products add a measure of safety combined with ease of use. 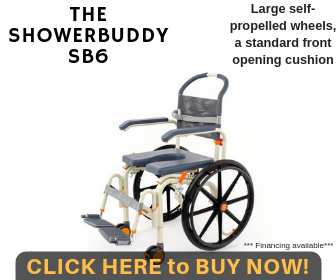 Whether the mobility issue is temporary, such as a broken bone, or permanent, such as loss of a limb or age-related mobility problem, a Carex shower chair or bench would be a good addition to in-home safety equipment. Four out of the five products reviewed here are all-plastic, which allows for easy cleaning. The chairs have spaces to allow the water to drain rather than pool, keeping them more hygienic. Most of the products weigh between 6–11 pounds which makes them portable for use while traveling or in multiple bathrooms in a house. The universal designs mean that they should work in most bathroom tubs and showers. 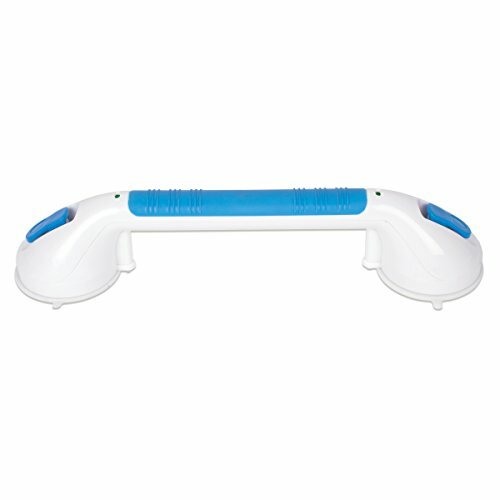 Carex also offers other products to use in conjunction with these shower chairs for added safety. The one place that many people would prefer some privacy is the bathroom, yet this can be the most dangerous room in the house for elderly relatives or clients with mobility issues. Tub surfaces can be slippery, and there often are few handholds for extra balance. Due to the buildup of moisture in a tub, a fall is all too easy and can result in head or back injury. Plus, if someone with mobility issues cannot get out of the tub, the collected water could even cause drowning. 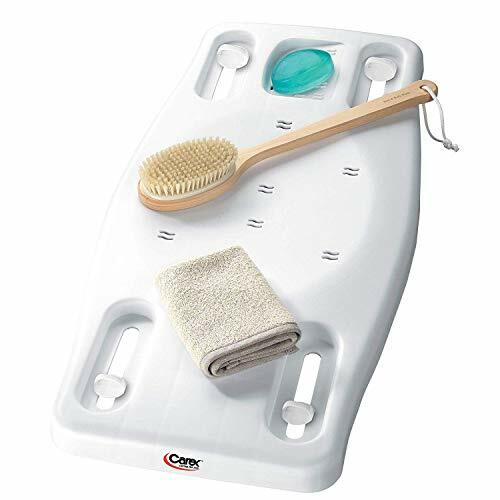 Carex offers a line of bathroom safety equipment that allows some independence. 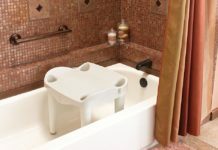 The universal design of the chairs can be used in the tub or bath. 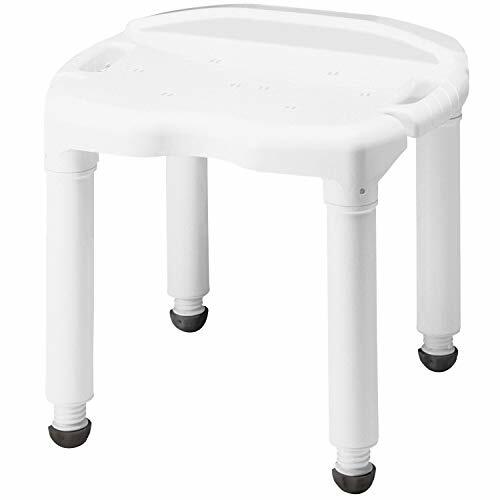 The transfer chairs are positioned both inside and outside of the tub or bath to allow for easy access to avoid much lifting. Each of the products can hold at least 300 pounds, while some can go up to 400 pounds. With the many different products offered, there is probably a good one for your specific needs. 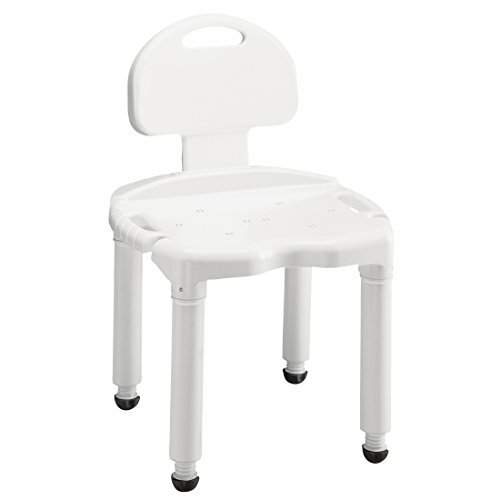 This seat will fit in almost any bath or tub because it is designed to sit fully in the tub or shower. The holes in the seat allow for water to drain instead of pooling around the person trying to bathe. An open notch on the side holds the hand-held shower spray nozzle, which prevents the person from having to get up and down to grab the shower sprayer. With over 700 customer reviews, 94 percent give the seat either 4 or 5-star rating. The reviewers who love the chair say that it’s very sturdy and feels comfortable and stable beneath them. Many reviewers have owned the chair for many years and still recommend it. A few recent unhappy buyers noted that you cannot return this chair once it is purchased. Some thought the seat was too big for their tub or showers. A few raters reported receiving defective chairs, but these reviews are older, from 2007–2015. This wider and sturdier seat can support up to 400 pounds. It is lightweight and portable so you can easily transport it to other bathrooms throughout the house or if visiting someone else’s house or going on vacation. This is an Amazon-choice product and best-seller. There are over 500 customer reviews, and over 90 percent of the reviewers give this seat 4 or 5-star rating. There are not many recent negative reviews. One user had trouble with assembly. Another user thought that the chair seemed slippery once soapy and wet. The assembly and disassembly do not require any tools. The legs snap in and out of the base of the seat. Comfortably fits weights up to 400 pounds. Heavier people can feel more secure or a caregiver can assist and not worry about balance. The easy-to-clean plastic construction means no mold buildup or metal corrosion due to water and humidity. This product has over 180 reviews, and 89 percent give it either a 4 or 5-star rating. Customers report that their physical therapists recommended this product and that it has worked well for many people. The rubber bottoms make it non-slip and the transfer seat is easy to use. It can accommodate up to 400 pounds. Some people report water on the floor because the seat sits both in and out of a shower. Other customers mention receiving products that were missing pieces and had to be returned. This is a single piece that sits across a tub. The rubber feet slide into place to secure the seat on top of the tub. The seat is adjustable and fits most standard-sized tubs from 19 inches to 28 inches across. You will want to measure from the tub’s edge to attached wall edge to ensure a proper fit. The seat, properly placed, balances over the tub. There are rubber stoppers to prevent movement and scratches to the tub. With over 160 customer reviews, 70 percent give this chair a 4 or 5-star review. Many reviewers liked the sturdy feel and the ability to sit on the bench and then swing your legs into the tub. Others noted that it did not have a slippery feel and stayed in place once the rubber stoppers were locked in place. This bench worked in tubs where shower chairs did not fit. Of the 1-star reviews, some who did not like the product noted that it could not be secured into their tubs. A few reviewers received minor injuries when the bench fell into the tub with them or a loved one sitting on it. The back is reversible. This means it can be assembled so that it can be used on the left or right side. The seat has adjustable height to fit over high-walled tubs, a feature that many other chairs do not have. There is an extra bar for support on the side. This allows for an extra hand-grip for balance. With less than 50 reviews from customers, this bench has 94 percent 4 or 5-star ratings. Customers report great satisfaction with this transfer bench. It has more height than others and allows them to move into the shower with no problems. Many people appreciated the quality and the easy assembly. There were no 1-star reviews. One reviewer received a chair with quality control issues. The holes did not line up, so it could not be assembled. Nova Medical creates many of the same types of bathroom safety equipment as Carex. One of the big differences is that most of the Nova Medical chairs are made with metal legs. Over time, metal can corrode when exposed to a warm and humid environment like a bath or shower. Eventually, these chairs need to be replaced just from normal use. Carex predominantly uses plastic for the legs and seat to prevent this from happening and keep you from having to buy another chair after a few years of use. 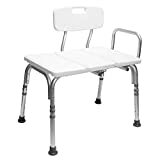 Nova Medical does receive some good reviews on some of its bath chair products. Certain other products do not have as many reviews and could be new items in the market and untested. These bars have powerful suction cups and come in a variety of lengths. They can be attached to the shower or bath for additional safety. Since they can be removed easily, they are also useful for travel. These rails can be permanently screwed into the wall of a bath or shower for additional balance and security. Other types of rails fit securely over a tub for an added hand-grip and balance. 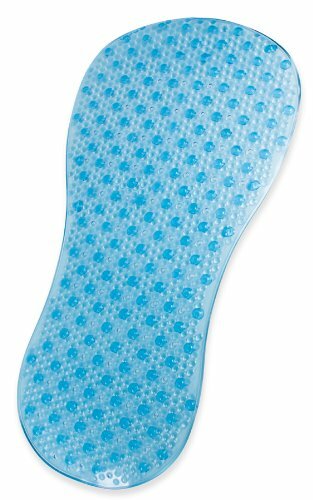 This bath mat has small suction cups on the bottom to adhere to the tub or shower floor and prevent slipping. 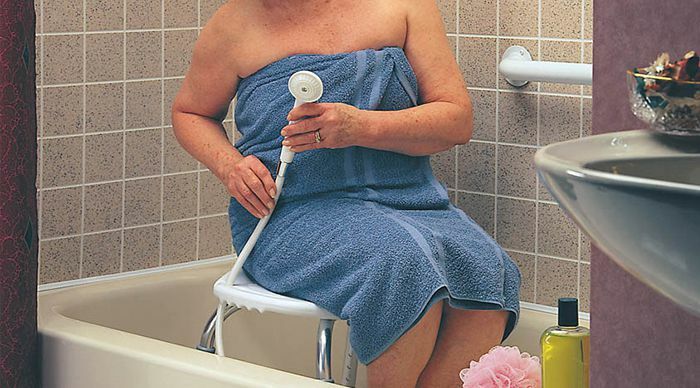 This shower sprayer has an extra-long 80-inch hose for extra reach in the shower when using a shower bench or chair. 84" HOSE: Extra long hose on this shower head for added convenience. 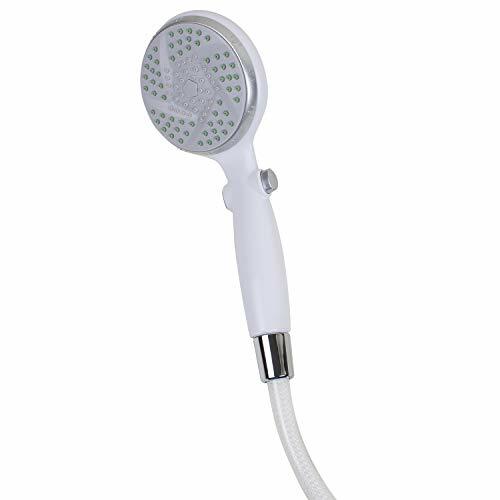 ON/OFF FUNCTION: A handheld shower head with hose that comes with a pause function. Carex makes reliable and safe in-home equipment for mobility impaired people. They have a range of products that many people need and seem to create new and innovative products for safety. Many customers leaving reviews feel comfortable recommending these products to others. With such a strong safety record and reliable recommendations, the Carex product line of bath chairs and benches would be a good addition to any home medical equipment. The Carex line also compares well to our top shower chair and bench picks. Do you have any comments or questions about the Carex shower chair or bench? Please feel free to leave any feedback in the section below. Carex offers a variety of safety chairs and benches to meet the specific needs of clients who would like more independence while in the tub or shower. They are easy to assemble and have many features that provide convenience for users. They also have universal designs that work in most bathroom tubs and showers. Most of their users recommend Carex shower chairs as they feel comfortable, stable and very sturdy. However, some also said that the metal parts may rust or corrode over time. Previous articleInvacare Shower Chairs Review: Are They for You?